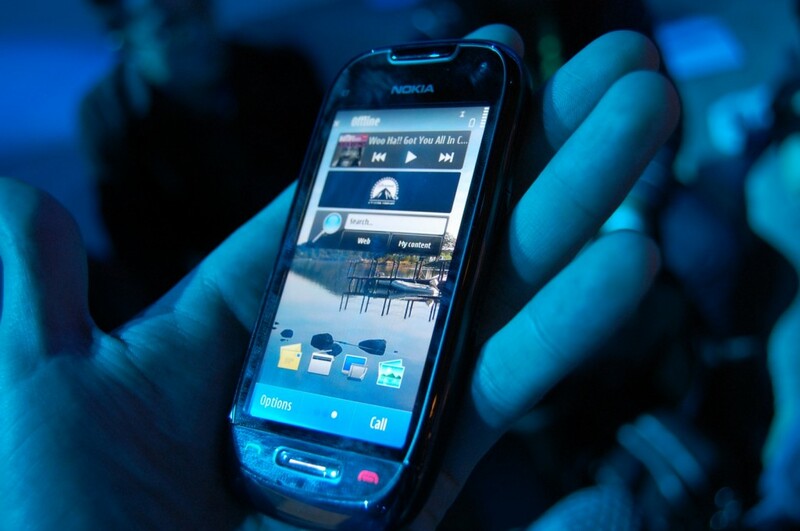 With all the talking about the Nokia E7 and N8, the C7 hasn’t had an opportunity to shine. And with a valid reason, these handsets and their amazing specs can easily get all the attention, leaving the C7 looking as just “another” Symbian^3 smartphone. It wasn’t until a meeting with C7 product manager that the C7 seemed like a brilliant device. First of all, the man behind the C7 is totally passionate about what he does. It was evident that he was trying to create something that users would enjoy using; he also was really thankful for all the direct talk that we did about the C7 while the meeting lasted. 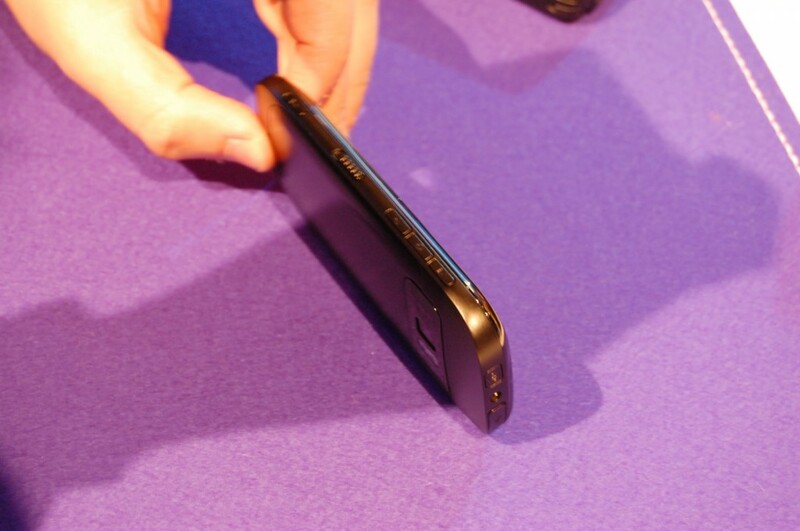 The C7 was introduced, according to the product manager, as the phone for everyone. They made sure that “everything was there,” meaning that the C7 has all the features somebody would need. The product manager described the C7 as the phone that most people would agree, that “it has everything.” Of course it doesn’t, and this phone isn’t targeted at the high-end of the market. However, it is targeted at that key level in which people want a really nice phone, but don’t want to spend a considerable amount on it. The key, is that the C7 offers a lot for its value. The C7 is indeed a perfect phone to cover this important level of the market. The C7 has very advanced features, like 3.5″ CBD AMOLED display, and 8 Megapixel Camera, and it does all this in a really compact and user friendly design. The C7 is made out of mostly metal, and glass; it feels solid, an has an excellent construction I must say. The C7 has a lot in common with the very successful E71. 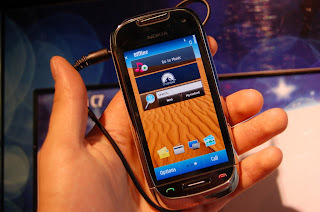 I almost see the C7 as the E71, minus the keyboard which was replaced by a touchscreen. This very slim and metallic design is a winner, Nokia has proved it before. The C7 is similar to the Nokia N8, but of course, the camera was replaced, and the construction, although really nice, isn’t the aluminium that the N8 uses. The C7 is a really fast phone, you can see in the pic below how the UI was going so fast that the camera produced a blurry shot. The C7, in the short time we handled it, seemed like a practical device that most people would enjoy using. The screen is top-quality, the UI is fast and responsive, and it comes with social Ovi services that many people will surely use. There are also many apps available on the new version of the Ovi Store installed on the C7, which by the way, is responsive and enjoyable to browse. For example, according to a Nokia rep, Swype will be available to download from the Ovi Store. So what is the Nokia C7? It is the phone you would recommend to everyone. You know, family, friends etc… who want a nice phone but don’t want to spend high-end prices. Its features, and design, make it an “universal” phone. Lets wait and see if the C7 takes the market as we believe it can.